From the author of A Secret History of Witches comes an absorbing tale of love, sacrifice, family ties, and magic, set in the Pacific Northwest in the aftermath of World War II -- perfect for fans of Practical Magic, The Witch's Daughter, and A Discovery of Witches. Barrie Anne Blythe and her aunt Charlotte have always known that the other residents of their small coastal community find them peculiar -- two women living alone on the outskirts of town. It is the price of concealing their strange and dangerous family secret. But two events threaten to upend their lives forever. The first is the arrival of a mysterious abandoned baby with a hint of power like their own. The second is the sudden reappearance of Barrie Anne's long-lost husband -- who is not quite the man she thought she married. 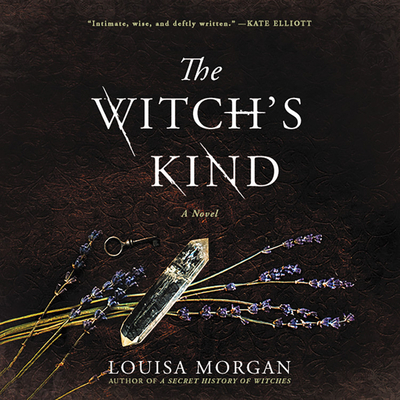 Together, Barrie Anne and Charlotte must decide how far they are willing to go to protect themselves -- and the child they think of as their own -- from suspicious neighbors, the government, and even their own family...For more from Louisa Morgan, check out A Secret History of Witches.